Whether you’re a travel agency, an ecommerce company, a B2B service provider, or even an offline retailer, emails are one of the easiest and most cost-effective marketing tools available to you. Email marketing can significantly help you to onboard, engage, and retain your customers, converting them into a loyal audience. We saw this for ourselves when we launched our first email marketing campaign last year. But how can you make your email marketing strategy as effective as possible? What can you do to see your open and conversion rates (and therefore ROI) grow quickly and steadily? Machine learning may be the answer to these questions. I bet that right now you have at least one hundred unread emails in your inbox. Why? Because, quite frankly, the majority of emails are irrelevant or monotonous. They don’t grab your attention. It’s high time that we, marketers, did something to fix this. The days of one-size-fits-all emails are over. We need to shift from a “one-to-many” to a “one-to-few” or, even better, a “one-to-one” email communications model. But this is only possible by carefully studying your audience and their past behavior (what links they’ve clicked on, what pages they’ve visited, etc.). This may seem difficult, if not impossible, but machine learning actually offers a solution to this complicated task. Machine learning can do far more than segment your user base, however. This technology can be way more helpful for marketing automation than it looks at first sight. Constantly trying out new technologies or formats in their email campaigns, wise marketers know that split testing is the key to better open and conversion rates. They also know that you have to perform quite a few experiments – testing CTAs, images, links, subject lines, body text, etc. – to get a realistic idea of how your campaigns are doing. Then you need to repeat these tests again and again. It will take forever to do this on your own, which is why machine learning is so valuable. Let’s suppose you have several variations of an email for your next marketing campaign. You need to define which one performs best overall. By assigning weights to your email variations, machine learning algorithms can show you which performs best as more and more leads are messaged through your drip campaign. Now that we know which email is the most appealing to your audience, it’s time to find out the ideal time to send it as well as the ideal frequency for email communications. Once again, machine learning can do this for you. Experimenting with emails over a given period of time, machine learning algorithms can define when (8:46 a.m. on Monday) and how often (every week) you should send out your emails to get the best results. You can also use machine learning to prevent possible negative outcomes. Machine learning algorithms can use past and current data to predict the likelihood of a particular event in the future. The best example of predicting outcomes that comes to mind from the world of marketing is email churn rate. Taking into account all available data, machine learning algorithms can predict which clients are at the risk of leaving you and can suggest actions to retain these users. You can also get other insights, such as projected increases in customer base or profits in the near future. Machine learning algorithms can predict how much your profit you’ll make, for instance, at the end of next year. Last but not least, machine learning can help us to segment our user base. Smart user base segmentation is a must when it comes to delivering personalized and powerful messages. Even though manual segmentation still works, marketing is increasingly about each user’s unique journey and individual preferences. Knowing a user’s location, gender, and age is not enough to come up with a powerful email campaign. Machine learning algorithms can identify similar behavior patterns within groups of users in order to divide them into different customer segments. This means that machine learning offers you the equivalent of hundreds of marketers crafting and sending engaging, timely, and (most important) relevant content to each customer. However futuristic it may sound, machine learning is already at work in marketing today. There are already a number of products that have adopted machine learning technologies to help marketers all over the world automate their workflows. 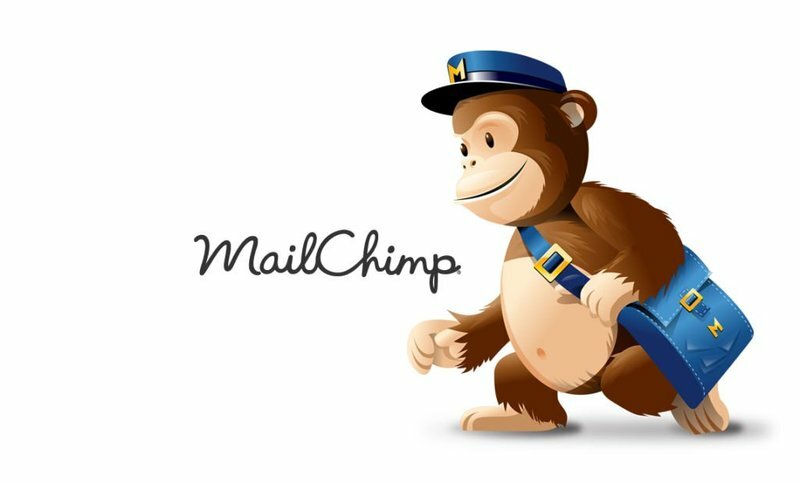 By far the most popular email newsletter app, MailChimp provides a wide range of features to optimize your marketing processes. Some even rely on machine learning. Personalized content really matters; MailChimp knows this, and provides you with all the necessary “equipment” to amaze your customers with relevant and heart-touching emails. You can connect your store to MailChimp and easily analyze user behavior and purchase history, then send smart and timely product recommendations and automatic follow-ups if they abandon items in the cart or complete a purchase. The Send Time Optimization Feature, built on MailChimp’s Email Genome Project (which analyzes “millions of email lists and billions of email addresses”), gives you valuable insights into the best time to send your email campaigns. These send time recommendations are calculated for each MailChimp user based on the subscribers on their list. With MailChimp you can build up to three variations of a given email, including different content, send times, subject lines, and more. Then, using A/B testing, you can find out which one is the best. This winning variation can be automatically scheduled to go out en-masse, or you can choose to manually analyze the results and pick the best campaign on your own. As its creators claim, “Drip is a world-class marketing automation and email tool.” Indeed, Drip has a number of useful features that can make the marketer’s life much easier – a smart email builder, best-in-class visual workflow automation mechanism, robust performance tracker, and more. We’re going to focus on two of these features that sport machine learning. Drip’s automation engine pins a tag to each buyer or subscriber based on the actions they perform – clicking a link in an email newsletter, visiting a page on your website, making a purchase, etc. Drip’s lead scoring algorithm determines which users are most engaged with your content. This way, you can know who is most likely to become your customer in the future and can focus your effort on converting these subscribers. Seg is basically a smart extension for MailChimp. However, the service can be integrated with a number of other tools as well, including SalesForce, Woo, and Magento. Seg’s main selling point is witty email personalization and user segmentation. Seg’s machine learning algorithm analyzes your existing user base and drop them into its ready-made customer groups, which continue to be updated. You can also target your emails based on your a user’s browsing history and previous orders. 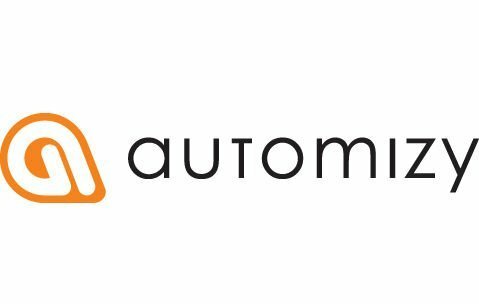 Using Automizy, not only can you automate your workflows (set up triggers for form submission, email open, link clicks, and more) but you can also segment your audience according to their past behaviors and preferences. This means you can always send the right message to the right person. In the words of its creators, applying Automizy’s special “multi-armed” algorithm lets you continuously improve your email campaign conversion rates effortlessly (meaning automatically). This “multi-armed” feature is currently in the alpha stage, but you can check out the concept on the company’s website. The closed beta will be rolling out soon. Using Automizy’s A/B email testing feature, you can test several versions of an email at once. You can set up how long the experiment should last and how many people should participate. And just as with MailChimp, Automizy can then automatically select and send out the best-performing email to all to your subscribers. Just in case you’ve been thinking about developing your own marketing automation tool recently, we’ve highlighted a few smart APIs to automate various marketing activities. Amazon’s Machine Learning API – Developed by Amazon, this cloud-based machine learning API enables developers with little experience in machine learning algorithms and techniques to nevertheless build robust and scalable applications. Examples of possible uses of this service include content personalization, user segmentation, and customer churn prediction. Microsoft’s Azure machine learning API – Microsoft’s Azure machine learning API is part of the Cortana Intelligence suit. This powerful cloud-based service can help you build and train different machine learning models and choose the best algorithm. Google’s Cloud Prediction API – Google offers yet another solution to analyze your data and make accurate predictions. Using Google’s Prediction API, you can perform customer sentiment analysis, build recommendation systems, guess how much your users are going to spend on a given day, and so on. Combining the processing power of modern computers and sophisticated learning algorithms, machine learning can sift through massive data sets and see patterns that we, as humans, can’t identify ourselves. Machine learning technologies can apply numerous insights simultaneously, which makes them supremely capable of performing tasks at a scale and speed that humans can’t physically match. For marketers, it’s like having a tireless analytic working to make smart decisions for you even when you’re out to lunch.